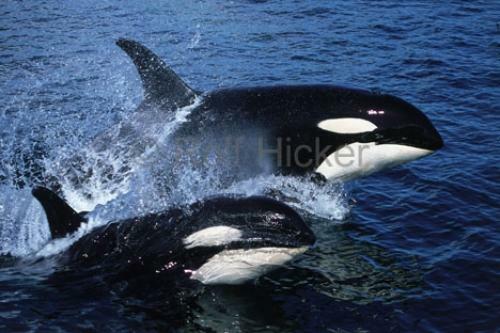 Photo of surfing Killer Whales beside a whale watching boat. These beautiful Sea Animals look very powerful when surfing in the wake of a boat, and they can reach speeds of up to 20 knots. The Sea Animals seen here are at their best, powerful, beautiful, and in the wild. Killer Whales are one of my favorite sea animals to photograph and to whale watch. It is difficult to get the timing just right when taking a shot of these magnificent sea creatures, because they are fast moving sea animals. Make sure to visit our story on Whale Watching in BC, British Columbia as well as our portfolio on Killer Whales. Here you can find more pictures of sea animals.